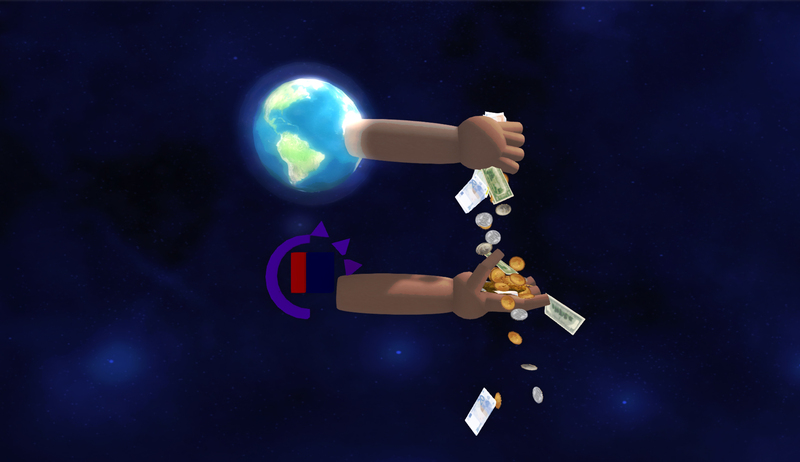 Relay for life: raising funds worldwide for the fight against cancer..
Relay For Life welcome center and landing spot. Many flags for many countries. The wiki says that avatars from over 80 real life countries took part in 2011. When I logged on to Second Life today my viewer told me that perhaps the biggest annual event of second life was happening. It was the Relay For Life fundraising event, and it was not only for today: it had been going on for the whole weekend. But those who are regular visitors of Second Life will know that the fund raising for Relay For Life has not limited itself to this weekend alone. Indeed this weekend is just this year’s climax in a fund raising campaign that has been going on for many months and probably will never see a definite end. Relay For Life is almost unavoidable and unstoppable as more and more people, organisations and places from all around the globe pitch in to raise money. I am told by the Relay For Life wiki that last year no less than 40 sims took part in this event and almost 400.000 US dollars was raised. An astounding figure, certainly for Second Life. Relay for life: Knights of Avalon. The first time I became consciously aware of Relay For Life was two years ago. I still have the picture of the moment, which is dated 27 July 2012. I found myself on one of my infrequent exploration trips and ran into a place that was called Camelot (I think) and it was the home of the Knights of Avalon. 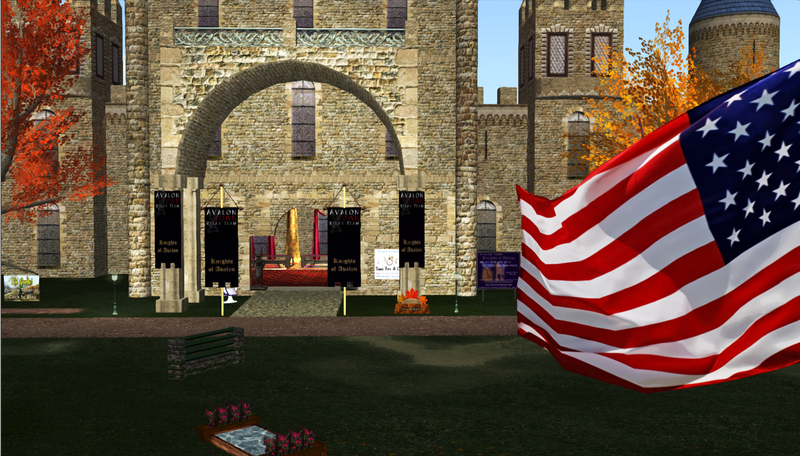 The picture shows a flag of the United State in front of the castle(I think there were a few more off picture) . Near the flag there was a Relay For Life donation stand. I was somewhat perplexed to see this rather huge American flag sticking out right in front of what was supposed to be castle from an English legend. It seemed that the owner(s) wanted to make sure that there was no mistake about their nationality. Indeed, it could be that visitors might take them to be English or perhaps even French. Perish the idea, they must have thought. So the flag was put there to leave no doubt. My thoughts now turned to Relay For Life stand. I had heard of Relay For Life . It was a fundraising event against cancer. I had taken this to be a global event organised by a global organisation as it was held throughout Second Life. But would such an event get a stand at a place of which the owner(s) were at pains to make sure there would be no mistake about their American origins? I somehow doubted that. So I thought at the time and I have to laugh now. Of course there was another possible explanation: the flag was put there because of liberation day, which is on the 4th of July and not so much as expression of patriotism(which is, so I am given to understand, different from nationalism). However it made me curious about Relay For Life, as it was unclear from the stand who was actually behind this event. Who are we giving money to? Luckily it wasn’t hard to find. Relay For Life is organised by the American Cancer Society(ACS). So the donation stand and the flag did go together in a way. Did this mean that people from all over the world were in fact fundraising for a national organisation instead of a global organisation? Indeed they were. 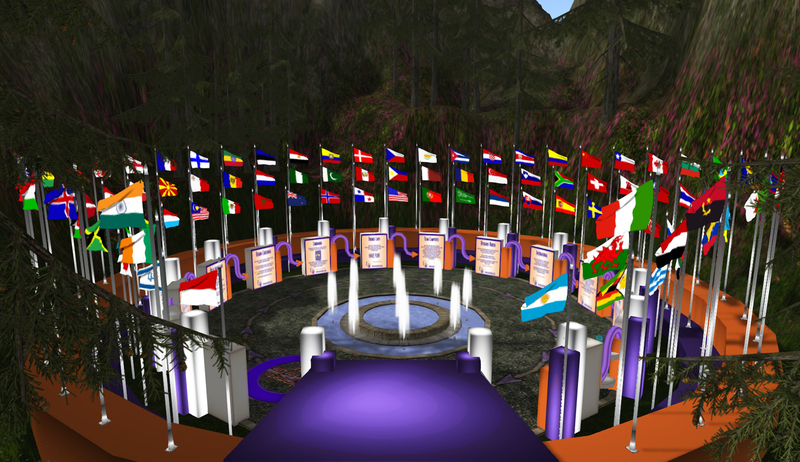 According to the Relay For Life wiki avatars from eighty countries took part in the event in 2011. Eighty countries? Were these people all aware that they were donating to the American Cancer Society? But does it matter? I mean, should we begrudge an organisation of one country their fundraising in the rest of the world? When I think about it, I don’t feel that there is anything against such fundraising. Maybe this money is put to good use by the ACS for the entire world population. Perhaps the ACS is the best organisation in the world to fund research into cancer, to finance aid for those who have fallen victim to cancer and organize teaching for everyone else. And if they are, why should we not give money to that organisation instead of some local and perhaps less efficient organization? I let you draw your own conclusions.